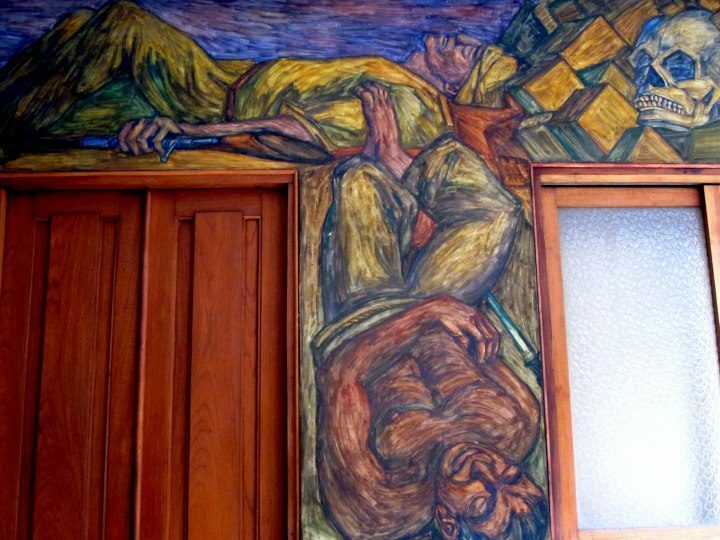 I visited Casa Museo Pedro Nel Gomez in Medellin December 2012 during my second solo trip to Colombia. Visiting the museum on your own can feel a bit daunting. 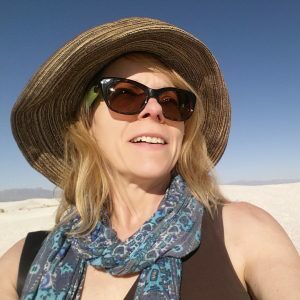 I mentioned the museum in my post The Kindness of Strangers a few days ago. Getting off the subway station at Universidad station I walked to the Aranjuez neighborhood. I didn’t see any other tourists in this area. Unfamiliar places can sometimes seem unsafe or unwelcoming at first. Walking around each corner expecting to see the museum I kept asking people “Museo Gomez”? 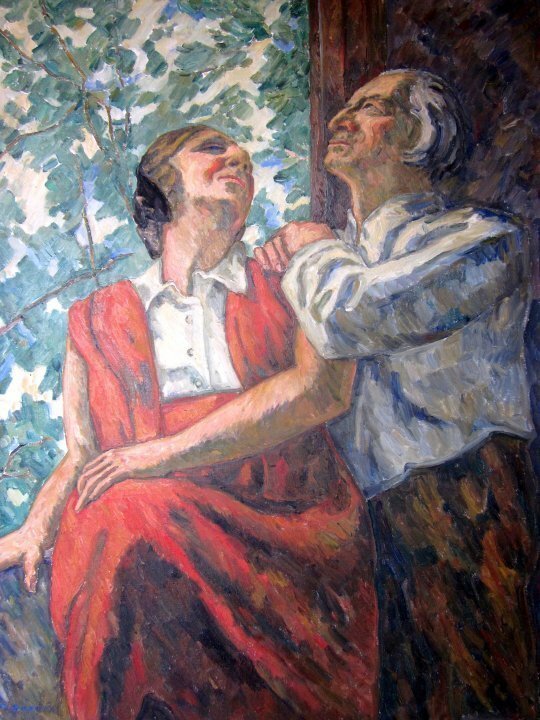 and they would smile and nod, pointing the way. These small interactions with the locals helped me feel at ease. 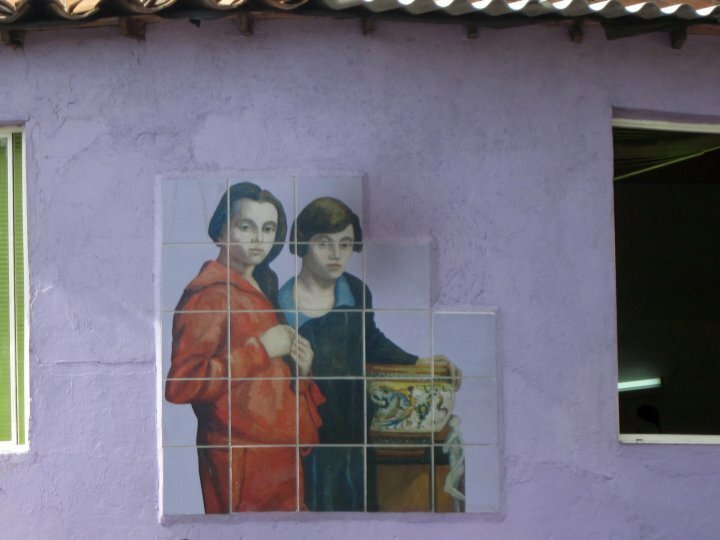 Walking to the museum you will see several depictions of Pedro Nel Gomez paintings, recreated in tile. 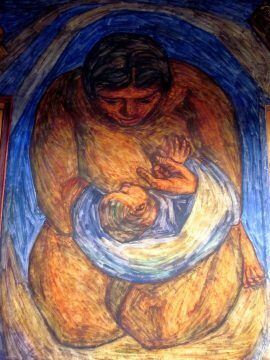 The museum was my favorite in Medellin, although on a different day I may say that Museo de Antioquia was my favorite! 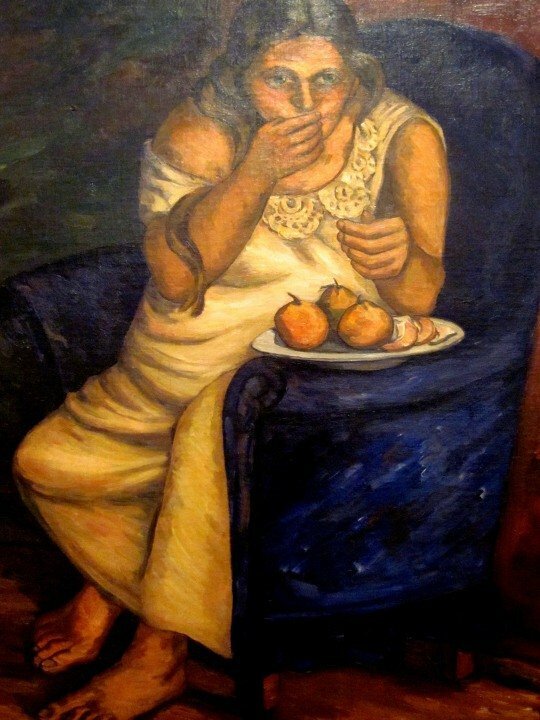 I fall in love with art work quite easily so I cannot be blamed for being fickle with my favorites. Speaking of favorites, Medellin is definitely one of my favorite cities in the world. 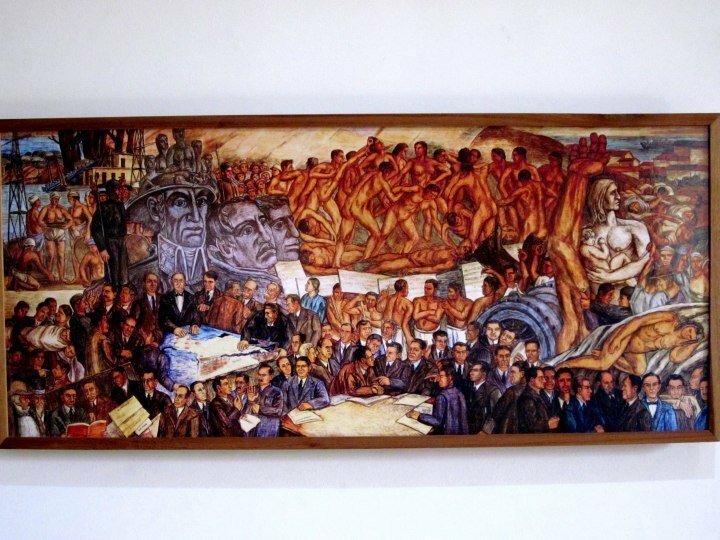 Pedro Nel Gomez (1889 – 1984) was a Colombian scholar and artist best known for his murals. He studied engineering and graduated with a degree in Civil Engineering. 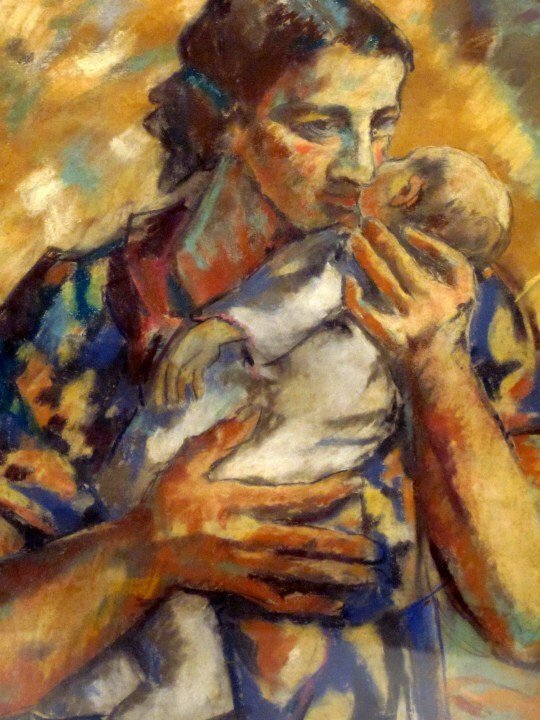 Later he traveled to Italy and studied art in Florence where he met Giuliana Scalaberni whom he married and had a family of eight children. 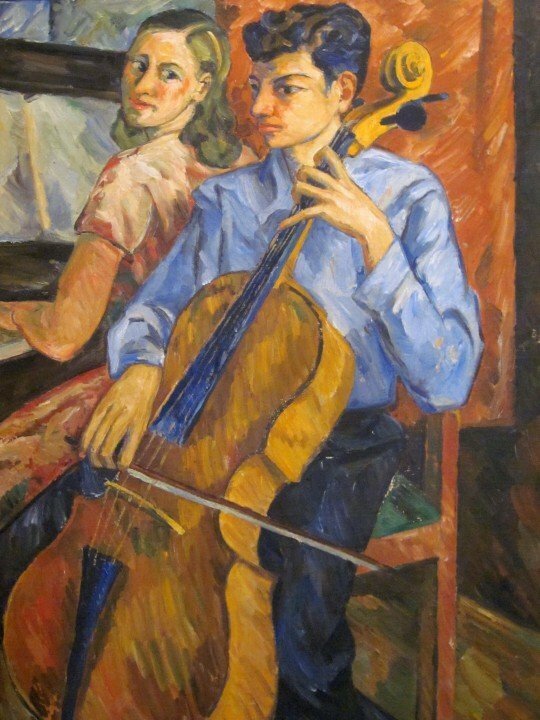 Returning to Medellin in 1930 Pedro Nel Gomez was very involved in the arts as well as urban planning. He founded the School of Architecture at the National University. 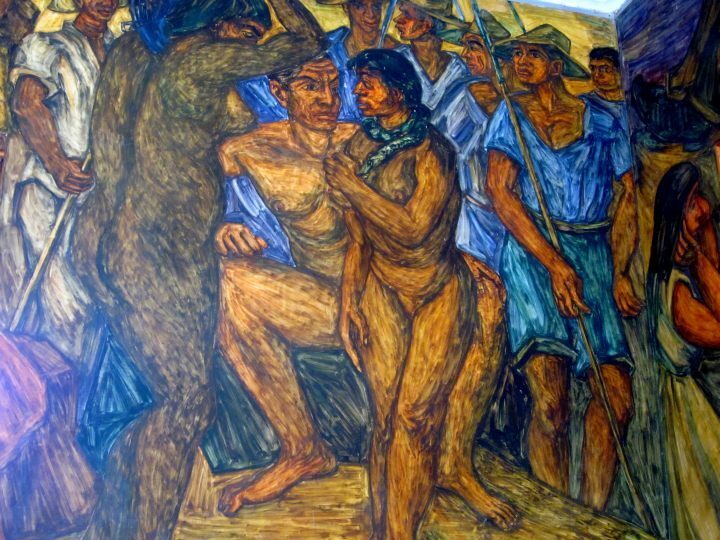 The murals of Pedro Nel Gomez focused on social issues and culture with titles such as Unemployed, Critical Moments of the Nation, Migratory Forces, The Republica, and Work and Motherhood. 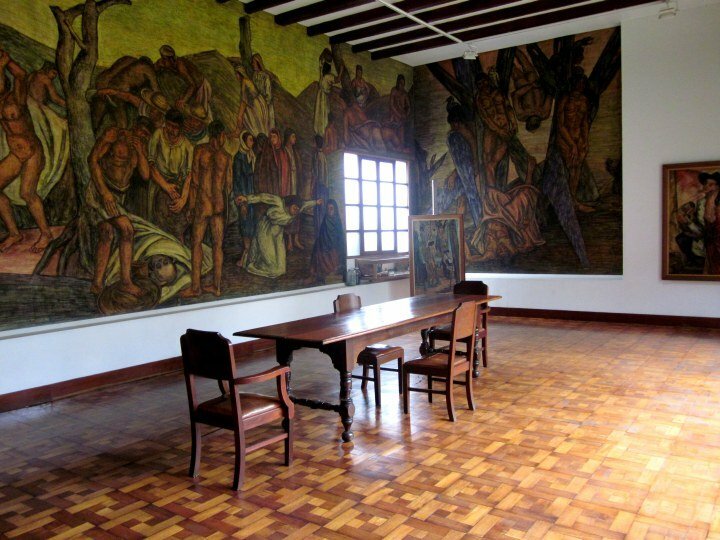 The Casa Museo Pedro Nel Gómez was established in 1975 by the Gomez family to preserve the cultural heritage and art work of Pedro Nel Gomez who donated his studio and house to the city of Medellin for the purpose of using it as a museum. He continued to live and work in the house until his death in 1984. 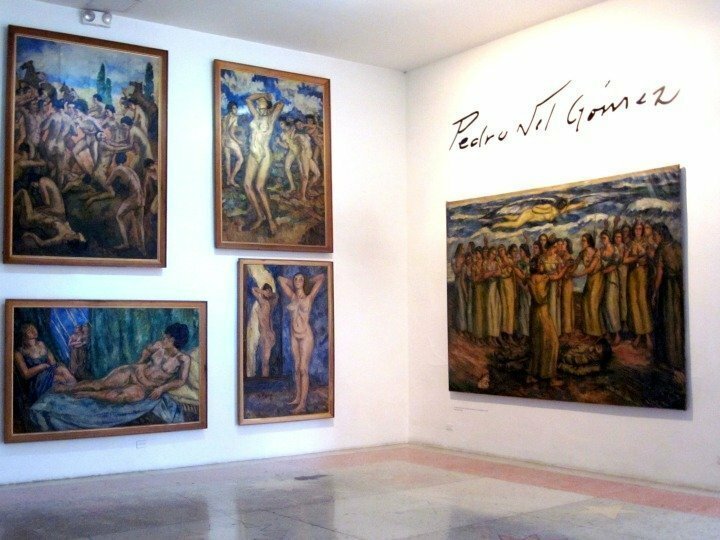 The museum contains a large collection of original works by Pedro Nel Gomez including paintings and sculptures. 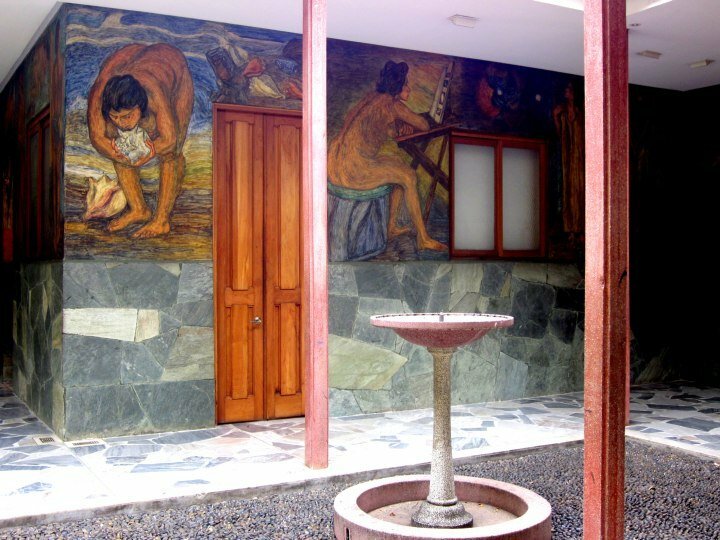 The courtyard walls are adorned with murals. 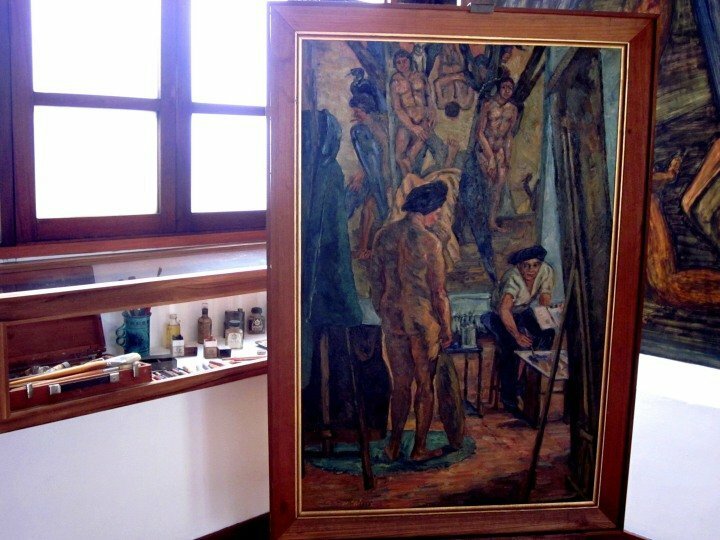 In his work I see a man who had a deep appreciation for family and many of his paintings depict daily activities such as swimming, playing music, children drawing, etc. 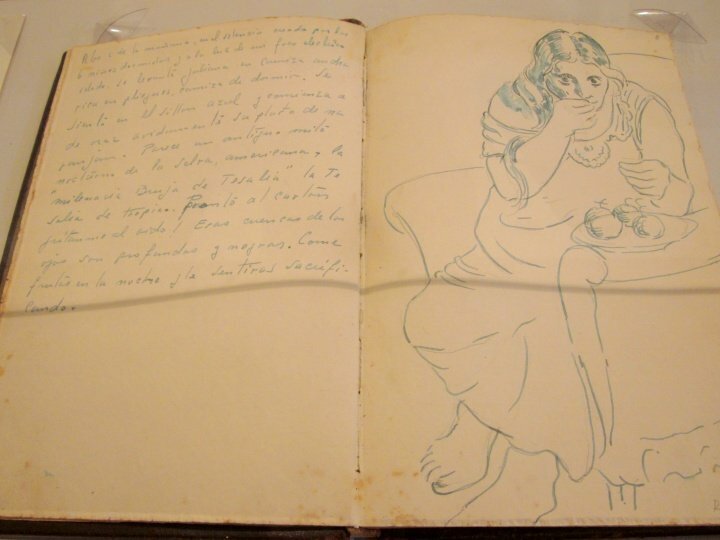 A page from his diary shows a sketch of his wife Juliana eating a plate of oranges late in the night and his notes about the scene. 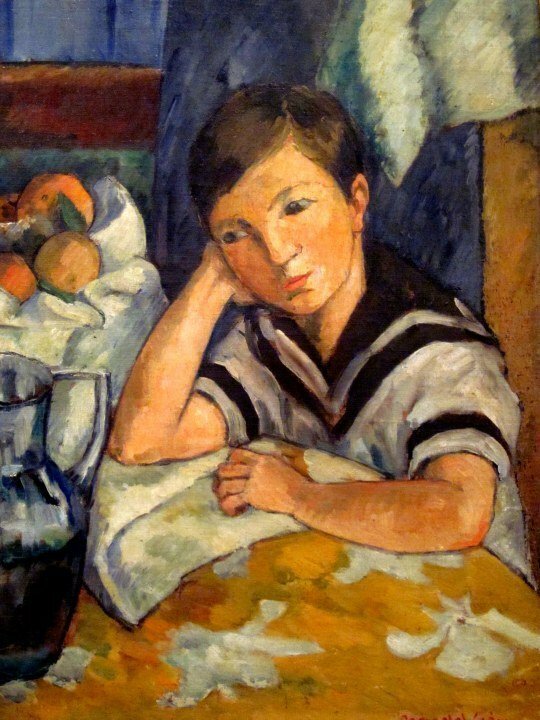 The museum also offers painting classes to children and adults. 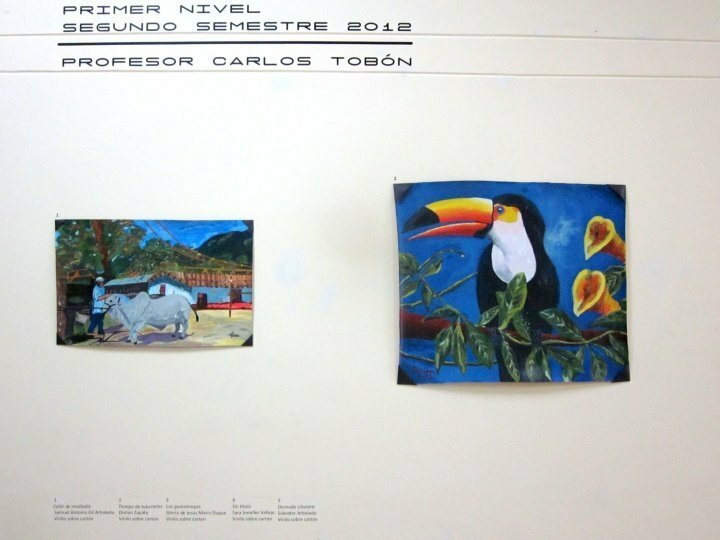 Below are works by Samuel Antonio Gil Arboleda (left) and Dorian Zapata (right).